Who is Donna? | Dramatized! Your Life a Song only YOU can Sing! Home » Who is Donna? It is often said if you really want to know “who” a person is, ask others. Always doing 3 things at once (a multi-tasker) but with a keen focus on the most current priority to GET IT DONE!! A Woman of Faith, Woman of Destiny, World Changer, Go-Getter, Revolutionist, Catalyst, Change-Agent, Trend Setter!! A sweet spirited person with a bubbly personality. A person who possesses confidence in all she does with a voice that carries on forever. Orator, Wise, Personable, Intellectual, Sensitive, Patient, Caring, Supportive, Encouraging, Spiritually Mature, Motivator, Cute!!! “Thorough”……she leaves no stone unturned!!! When I think of Donna these words come to mind: best friend, funny, passionate, crazy, intense, compassionate, loving and outspoken. I think this sums it up: if you want to hear from someone who is articulate and has a spirit of excellence in whatever she sets her hands to do then, Donna Maria Warfield is your woman for the task! I am sure you will be as excited when you get this project in your hands as Donna was working on it. Donna M. Warfield is also an Amazon 2005 Best Selling Author of “Whatever Floats Your Boat.” She was born and raised in Rochester (Henrietta), New York. Her business and faith-based initiatives are headquartered in Atlanta, Georgia. 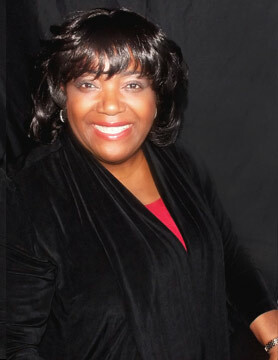 Donna is a graduate of Wilberforce University, Atlanta University and Spiritual Life Training Center. She also studied missions at Oral Roberts University. While in college (Wilberforce University) she became a member of Delta Sigma Theta Sorority (BETA Chapter). She is an Executive Member of IbM (International Breakthrough Ministries); a strategic alliance of visionary leaders who are equipped to bring cutting-edge transformation to their spheres of influence. Those spheres include business, ministry, medical, education, media, art and government. She is also a former Adjunct Faculty Professor with Mercer University and a Writer/Author’s Coach. Donna has coached (5) Authors to Best Seller status. The Artist/Composer is a strong advocate of serving in the community. She has sat on a number of boards in Greater Atlanta including Goodwill Industries North Advisory Board, The Center for Children and Youth, The Sullivan Center and the Georgia Association of Personnel Services. Her sense of humor and practical delivery has won the hearts of many as she has traveled across the globe speaking/teaching and igniting diverse audiences over the last 25 years. Two of Donna’s most memorable quest were serving as a Missionary to Africa (Kakamega, Kenya and Kampala, Uganda) and accepting an invitation from Former President Bill Clinton to attend the Kennedy Center Honor Awards. Her most recent honor was her attendance at President Obama’s 2nd Inauguration Ball. If you ask Donna “who” she is she will tell you…..
“I am a person who is determined to do what I was placed on earth to do. There is no other person on earth like me; nor is there another person on earth like you. I am grateful that I have attempted to walk out what I was placed on earth to do. I truly believe everyone has a calling. That calling is centered around giving and helping others.” She would also tell you that she takes pleasure in giving to others and is humbly honored that doors have opened for her to share the gifts and talents she has been given. She would tell you that there is nothing more important than God, family and “right” relationships. She would tell you that life comes with drama; without drama there would be no life. 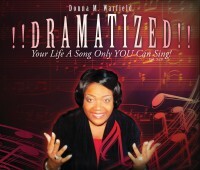 WHEN YOUR DRAMA ARRIVES – SING A SONG ONLY YOU CAN SING!!!!! !